Trent Masterson's dad passed this week. Information for services below. MASTERSON, ARTHUR “CHUCK’ of Goodrich formerly of Ortonville. Died November 24, 2018. He was 72. He was born August 10, 1946 in Laporte, Indiana the son of the late Roland and Betty (nee: Schoof) Masterson. 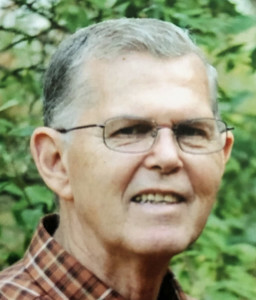 He is survived by his loving wife of 52 years, Connie Masterson, four children, Darren (Julie) Masterson, Trent (Tami) Masterson, Angela (Ken) Schrauben and Craig (Liz) Masterson; nine grandchildren, Lauren, Grant, Brady and Garrett Masterson, Samantha, Alexandra and David Schrauben, Scott Masterson and Justin (April) Tripp; one great granddaughter, McKenna Tripp; two sisters, Rose (Terry) Pierce and Gail (Mark) Wilson; one brother, Roland (Rachel) Masterson. Chuck was raised in Kingsbury, Indiana where he attended grade school and high school, graduating in 1964. He then attended Manchester College. He married Connie Newman August 13, 1966 in Michigan City, Indiana. They moved to Hammond, Indiana and he attended Purdue and worked for Pullman Standard. In 1969 he moved to Oak Park, MI and attended Detroit Bible College graduating in 1973. He then attended Oakland University, graduating in 1979. In 1970 he started working at General Motors nights on the line, then as a foreman and later in the front offices. Working full time and attending classes part time, was his normal routine for several years. He became a Reliability Engineer. They called him “Mr. Warranty”. GM offered Chuck a retirement package in 2002 after 32 years with the company which he took and immediately went to work through a contact house for Chrysler. In 2010 he finally stopped working because of health issues. He and his wife Connie subcontracted four houses, designing each one to meet their family’s needs. Even though each was difficult and stressful at times he loved the challenge of creating something for his family. Being part of a church family was very important to Chuck. Every church we attended he worked with children and teens. He had a strong desire to share his love of Jesus and the truths in the Bible with them. He was a great teacher both to kids and adults alike. He loved fishing, hunting and sports, but they always came second to God and his family. Chuck was a caring and compassionate guy who loved giving hugs. He loved his children and grandchildren and his greatest desire for each one was for them to know Jesus and have a close relationship with Him. Nothing in life was more important to him than that. Funeral service will be Friday, November 30, 2018 at Hillside Bible Church 173 N. Church St., Ortonville. Pastor Cliff Powell, officiating. Interment will follow at Greenwood Cemetery, Hadley. Family will receive friends on Thursday at Hillside Bible Church from 3:00 to 5:00 and 6:00 to 8:00 p.m. Memorial contributions may be made to Lewy Body Dementia Research, 912 Killian Hill Rd., S.W. Lilburn, GA 30047. Envelopes are available at the church. Arrangements were entrusted toVILLAGE FUNERAL HOME 135 South St., Ortonville. To send a condolence to the family, please go towww.villagefh.com.